As per the owner, the boat is well-maintained, everything works as it should. Always kept on a trailer, when not in use. Just add water, and you're ready to go! Crownline packs a lot of fun into 22 feet! Stock #165123 Fun Boat! Ready for Endless Recreation. 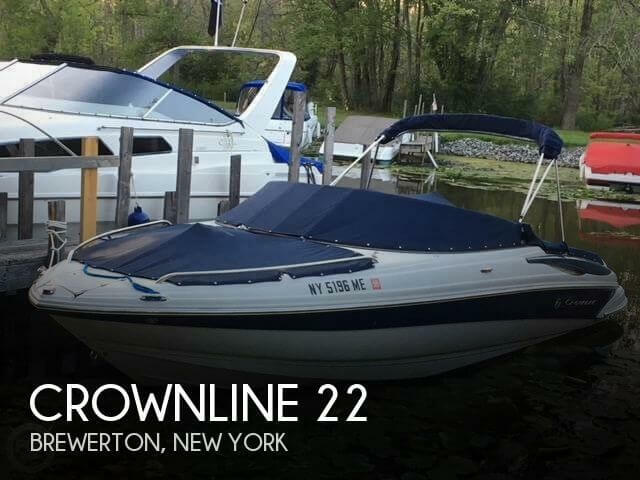 If you are in the market for a bowrider, look no further than this 2006 Crownline 220 LS, priced right at $26,700 (offers encouraged). 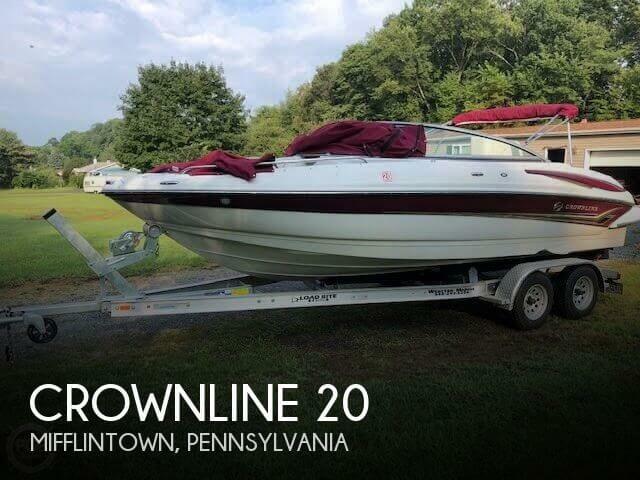 This boat is located in Mifflintown, Pennsylvania and is in great condition. She is also equipped with a Volvo Penta engine that has 320 hours. Reason for selling is buying a house. This boat is in good condition...I would say that the canvas for the bow could be replaced or professionally cleaned (the owner states, that they will be cleaning and believes it should come clean.) 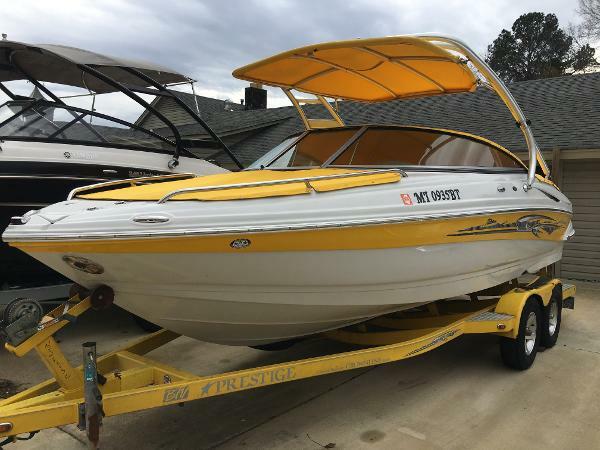 Otherwise, there is just normal wear and tear with this boat, and with that being said, I would say that its boat is in great condition and would make you and your family and friends very happy! Stock #159608 Excellent freshwater Crownline 220 LS with low hours! 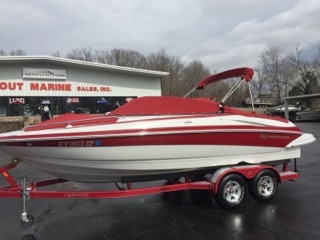 If you are in the market for a bowrider, look no further than this 2008 Crownline 220 LS, just reduced to $30,500 (offers encouraged). 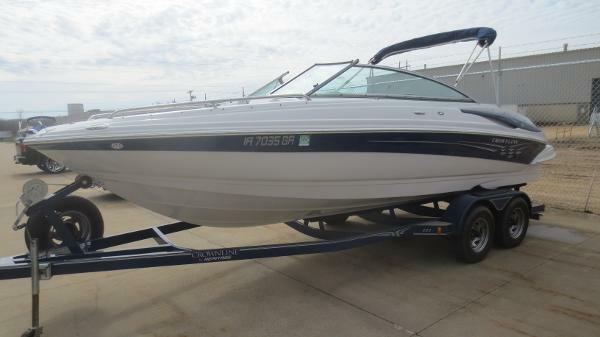 This boat is located in Brewerton, New York and is in good condition. 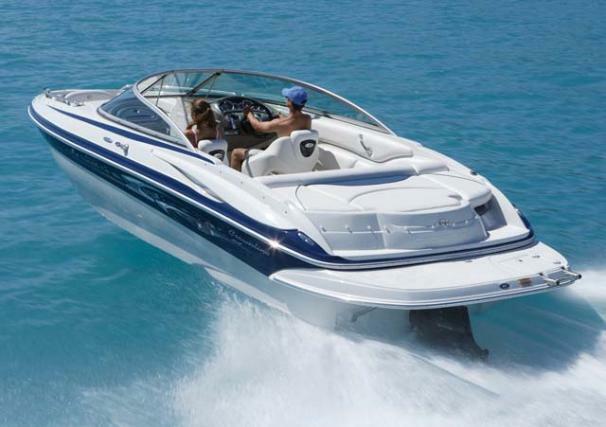 She is also equipped with a Volvo Penta engine that has only 271 hours. Reason for selling is personal physical limitations. 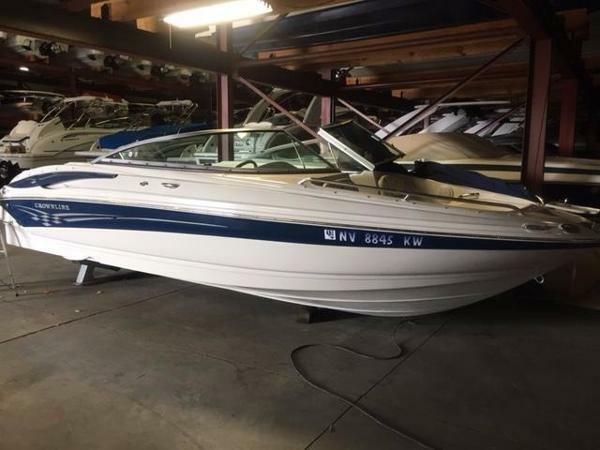 2007 Crownline 220 LS Very clean, Lake Tahoe only, 2007 Crownline 220LS. 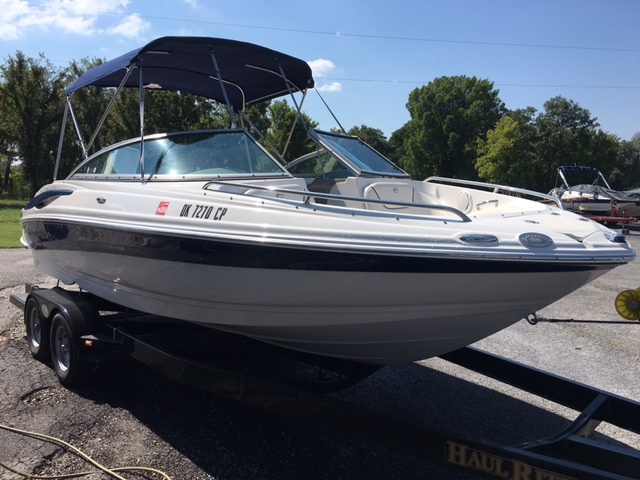 Powered by a single Mercruiser 350 Mag MPI (300hp) /Alpha Outdrive package with only 141 hours since new. Full service history since new! Color matched vents, cockpit and bow covers, bimini top, woodgrain dash, auto fire extinguisher, bow ladder and more. No trailer, but we can order one if necessary. 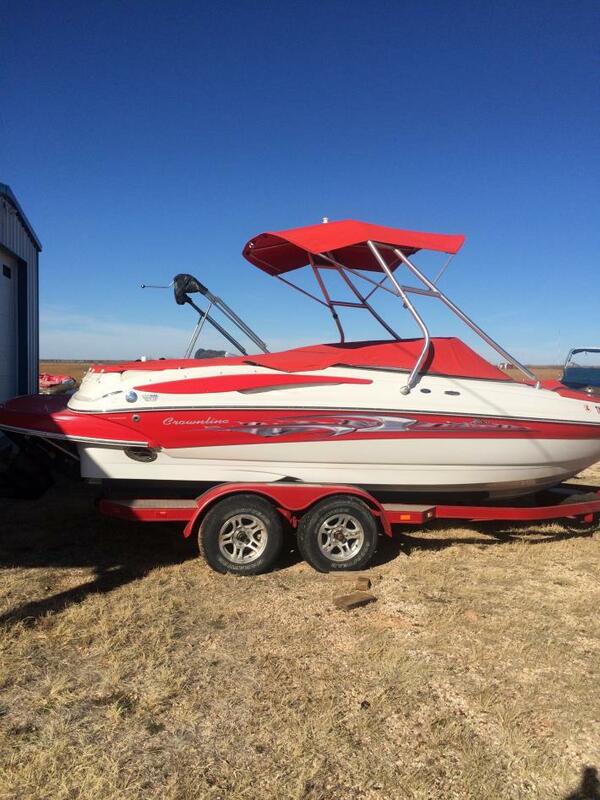 Please call today to make your best pre-season deal on this clean bowrider! 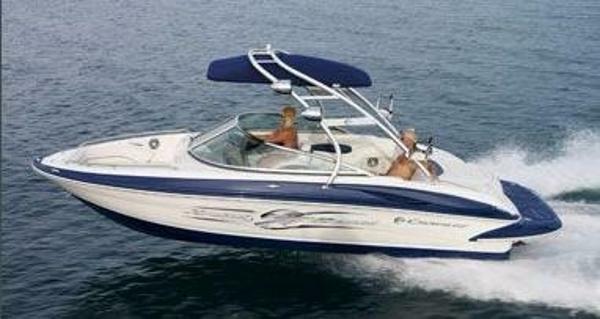 2008 Crownline 220LS There's no better way to bring family and friends together than spending time on the water in your new Crownline 220 LS. A deep freeboard makes for an exceptionally comfortable ride and added safety for small children. And, there's plenty of storage onboard for everyone's toys and gear. With its head turning good looks, unequaled fit and finish and F.A.S.T. Tab hull design, it definitely stands out in the crowd. 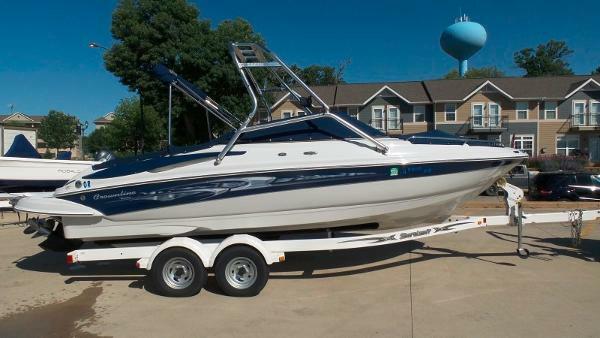 2008 Crownline 220 LS The 220 LS?s exclusive F.A.S.T. Tab hull assures maximum performance. Add a wrap-around swim platform, deluxe sundeck, a classic interior with Tri-Tech flip-up buckets, snap-in Berber carpeting, bow and cockpit canvas-- all standard. There's also a standard bimini top with quick-disconnect hardware, stainless steel rubrail, stainless steel cupholders and grab handles. 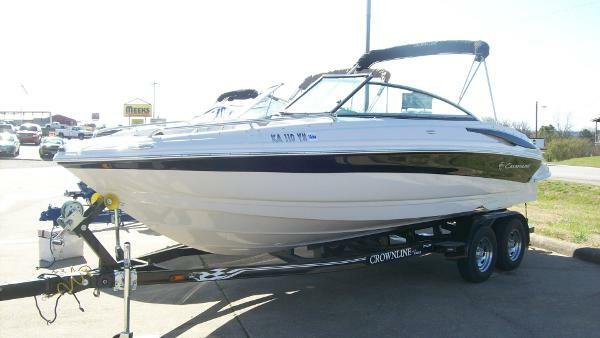 2007 Crownline 220 LS The 220 LS?s exclusive F.A.S.T. Tab hull assures maximum performance. Add a wrap-around swim platform, deluxe sundeck, a classic interior with Tri-Tech flip-up buckets, snap-in Berber carpeting, bow and cockpit canvas-- all standard. There's also a standard bimini top with quick-disconnect hardware, stainless steel rubrail, stainless steel cupholders and grab handles. 2007 Crownline 220 LS There's not a better-designed and built 22-foot sport boat on the water today than the new 220 LS. Its exclusive F.A.S.T. Tab hull assures maximum performance. Add a wrap-around swim platform, deluxe sundeck, a classic interior with Tri-Tech flip-up buckets, snap-in Berber carpeting, bow and cockpit canvas-- all standard. There's also a standard Bimini top with quick-disconnect hardware, stainless steel rub rail, stainless steel cup holders and grab handles. That's how Crownline packs quality into 22 feet of fun. Crownline's Razor Package is available on the 200 LS, 210 LS, 220 LS and 230 LS models, as well as the 220 EX, 240 EX, 260 EX and 262 EX models. The wakeboard tower is constructed of 1.5 inch aluminum pipe pull-test certified at 1,800 pounds (level 3). Tower installation and removal is simplified with quick-release hardware. Razor hulls come with a fully integrated structural fiberglass liner, Super Sport interior, Tri-Tech buckets and deluxe sundeck. Special graphics quickly identify the Razor with or without the tower installed. A tower-only package is available and can be installed on 202 and 225 BR models. - SOLD!!! 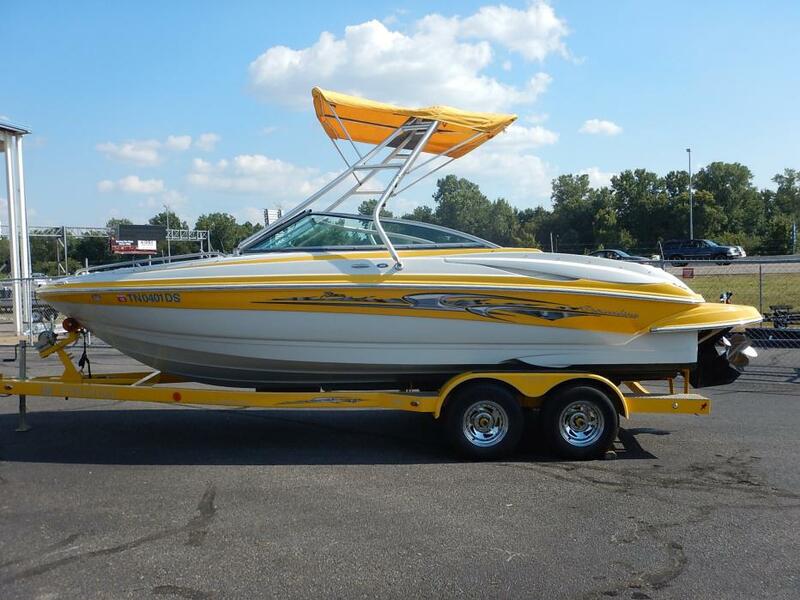 2010 Crownline 220 LS Razor Pkg 2010 Crownline 220 With Razor Pkg Wakeboard Tower, Snap In Carpet, Board Racks, Four Tower Speakers, Perfect Pass Cruise Control, 350 Mag Bravo III 300 Hp, Prestige Tandem Trailer, Dual batteries, Depth Finder, Custom Stereo with Subwoofer, Inverse Gel Pattern Amethyst. Call Ricky 770-831-8225 203 The 220 LS’s exclusive F.A.S.T. Tab hull assures maximum performance. Add a wrap-around swim platform, deluxe sundeck, a classic interior with Tri-Tech flip-up buckets, snap-in Berber carpeting, bow and cockpit canvas-- all standard. There's also a standard bimini top with quick-disconnect hardware, stainless steel rubrail, stainless steel cupholders and grab handles. 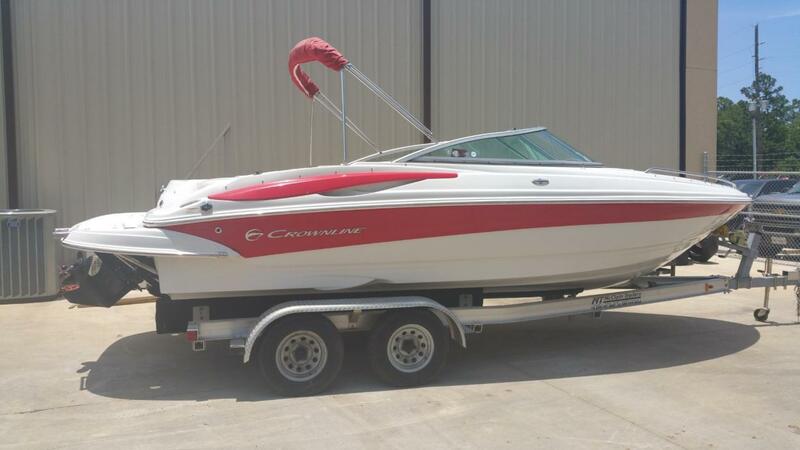 2006 Crownline 220 LS The 220 LS?s exclusive F.A.S.T. Tab hull assures maximum performance. Add a wrap-around swim platform, deluxe sundeck, a classic interior with Tri-Tech flip-up buckets, snap-in Berber carpeting, bow and cockpit canvas -- all standard. There's also a standard bimini top with quick-disconnect hardware, stainless steel rubrail, stainless steel cupholders and grab handles.